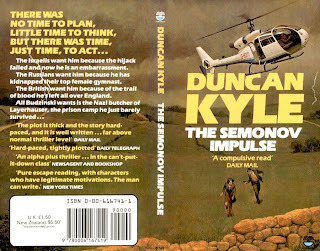 I'm indulging myself this evening with a gallery dedicated to one of my favourite thriller writers, Duncan Kyle. My Dad preferred reading crime and thrillers to any other genre, although he had a great liking for westerns, too. But he always had a few paperbacks laying around and he was more than happy for me to read them. Alistair MacLean was a great favourite, as were Hammond Innes and Desmond Bagley. 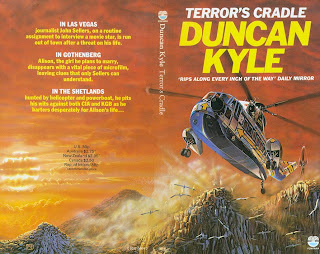 I recently dug out a load of thrillers to re-read and found the MacLean's slow going: The Satan Bug wasn't half as good as I remembered (although that could be because I read it so long ago I was actually remembering the film more than the book) although The Golden Rendezvous was still a great read. MacLean was always at his best on the high seas. 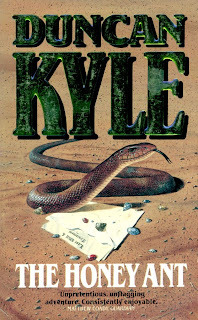 Also lurking in boxes was a run of books by Duncan Kyle, one of the best of the thriller writers. 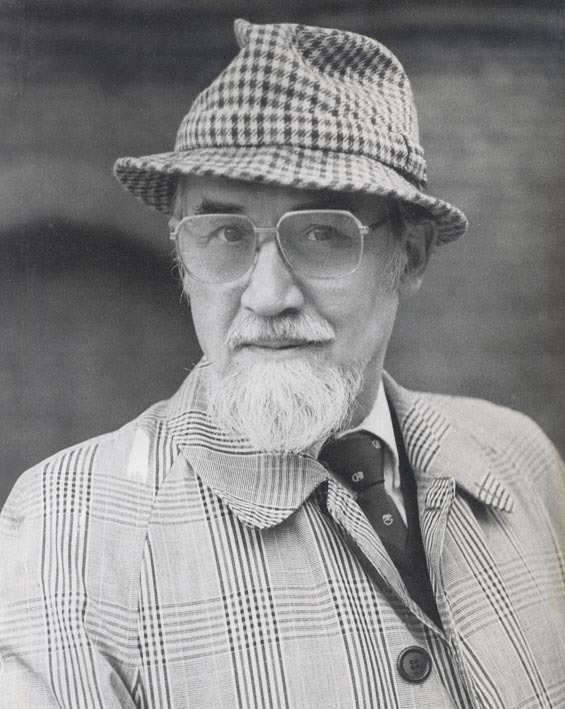 His real name was John Franklin Broxholme, born in Bradford on 11 June 1930. After attending Bradford Grammar School, he joined the Bradford Telegraph and Argus as a copy boy where he learned his trade as a reporter. Following his national service (two years with British Army Intelligence), he joined the Leicester Mercury as a sub-editor, then as picture editor for the Yorkshire Post. 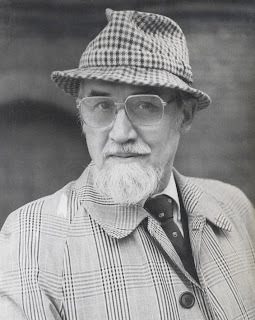 In 1957 he joined Odhams Press, working as assistant editor on Today, the revamped John Bull magazine, before becoming editor of TV World in 1964. 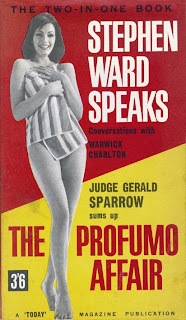 Whilst at Today, editor Warwick Charlton was sent to the Dordogne to gather interview material with Stephen Ward—at the centre of the Profumo scandal—and his copy was sent back to the UK by daily courier for Broxholme to edit into a book. 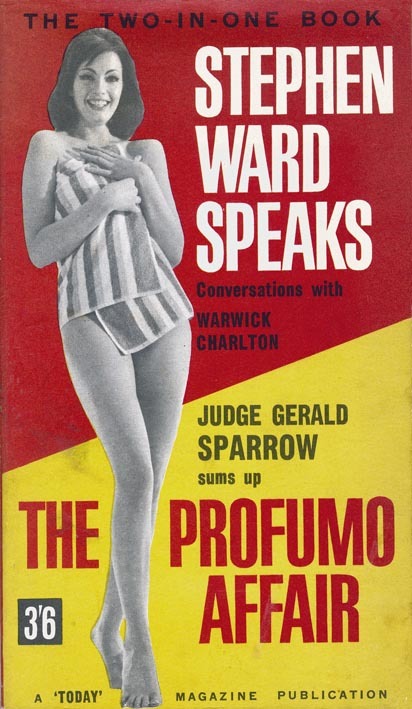 Stephen Ward Speaks (London, Today Magazine, 1963) was on the bookstalls two weeks later. 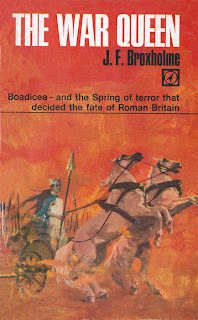 A bet to see if he could write a novel faster than Edgar Wallace led to the publication of The War Queen, a historical about Queen Boadicea. 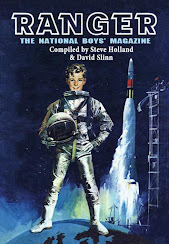 It was IPC's takeover of Odhams and the decision to merge the various departments in the late 1960s that led an unhappy Broxholme, then editorial director of the hugely successful women's magazine department, to leave Odhams in 1969 to concentrate on writing full time. 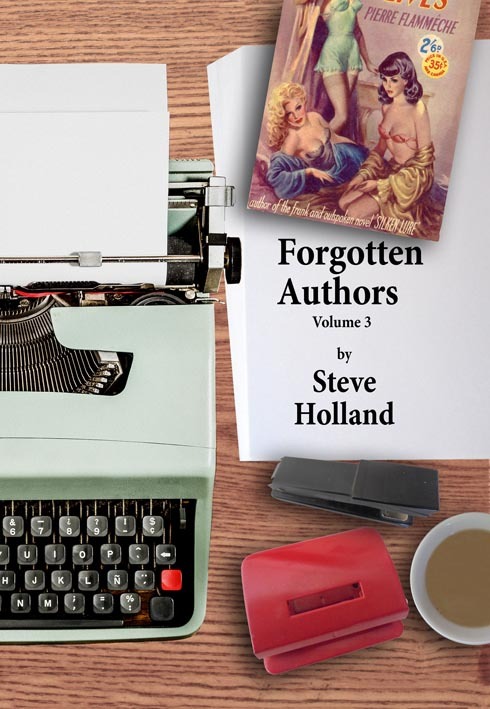 By then The War Queen had been published in both hardcovers and paperback and Broxholme set about writing a thriller which he submitted to Collins (Alistair MacLean's publisher). 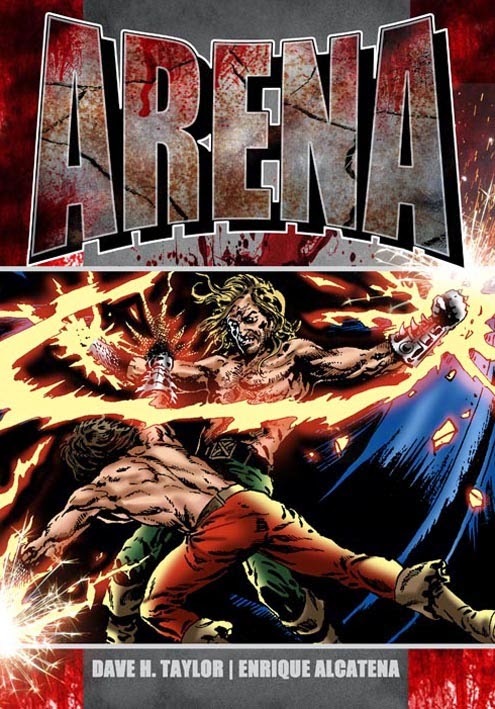 MacLean was also in part the inspiration for his choice of a Scottish-sounding name as a pseudonym. It is said that Sir Billy Collins, then living over the publishing office in Covent Garden, was suffering a sleepless night. 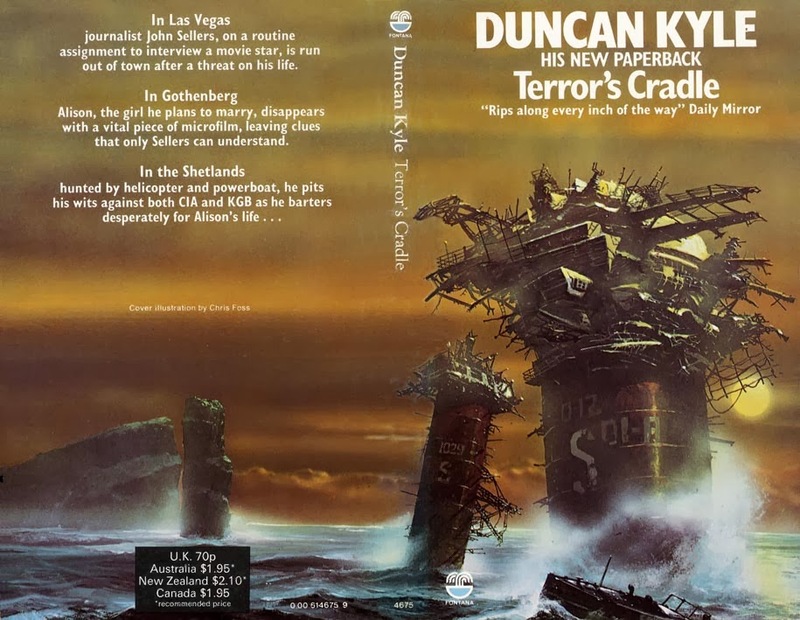 He wandered down to his office and picked up the first manuscript to hand, which was A Cage of Ice by Duncan Kyle. Collins was awake all night reading the manuscript and made Broxholme an offer for it the next day. 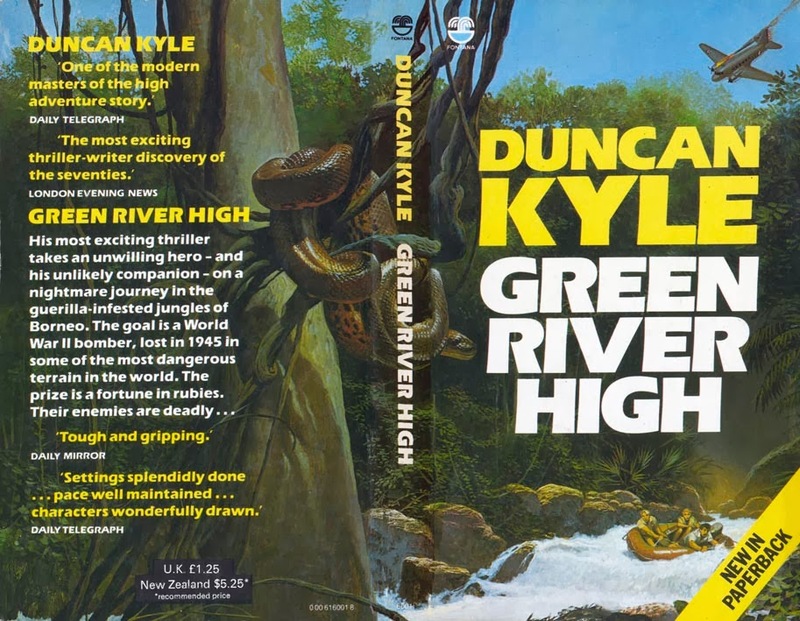 There followed a string of very successful novels of high adventure. 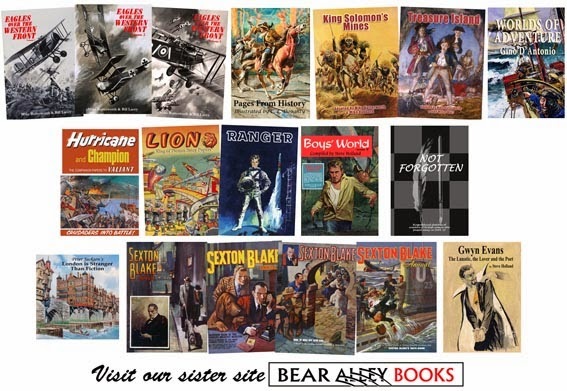 Broxholme researched each book carefully so that the settings were wholly convincing, whether it was an American research station in the Arctic or the jungles of Borneo. The idea for Flight into Fear was inspired by a transatlantic flight he made in a light aircraft; A Raft of Swords was written following a long journey on a log raft in British Columbia; the writing of Terror's Cradle involved trips to Nevada, Sweden and the Shetlands; for In Deep he visited US Army research stations in the Arctic; and Black Camelot was inspired by a trip to Himmler's secret fortress, the Wewelsbrug. 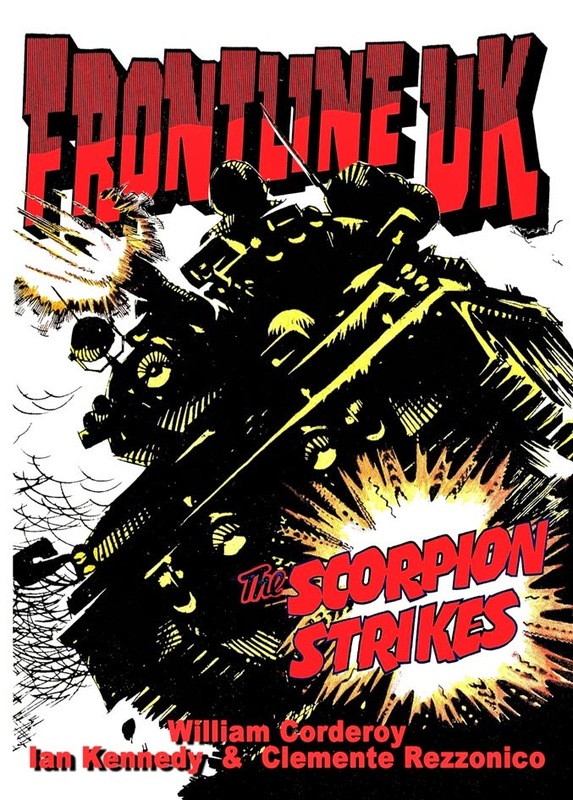 Like his fellow thriller writers, Broxholme realised that having your hero simply bump heads with a villain, however villainous, made for dull reading; instead, the thrills came from battling against nature, whether that was sub-zero icy wastelands or the scorching deserts of Australia. 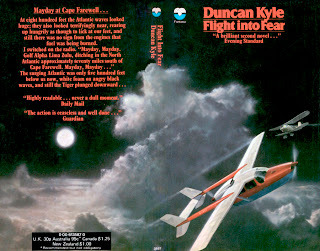 There are few writers capable of matching the tension of Flight into Fear where the main protagonist is flying across the Atlantic and has to exit the plane to get to an external fuel tank. 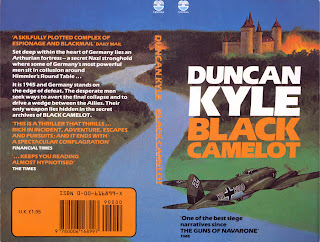 In the late 1970s, and after six relatively straightforward thrillers (one of which, The Semonov Impulse, originally appeared under the name James Meldrum), Broxholme branched out to write a couple of historical thrillers: both Black Camelot and Stalking Point had World War 2 settings while The King's Commissar had a duel plot, partly a contemporary thriller about a financial mystery and partly set during the Russian Revolution and Tsar Nicholas II's downfall. 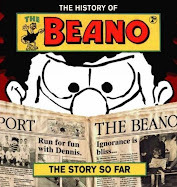 Broxholme was married to Alison (nee Hair), a teacher, who died in 1992 from motor-neurone disease and his last book, the aptly named Exit, published five years after The Honey Ant, appeared the following year. Kyle and his family, including three children, lived in Sussex. He died at the end of June 2000. It's a shame that one of our finest thriller writers is nowadays all but forgotten—although thankfully not by all. 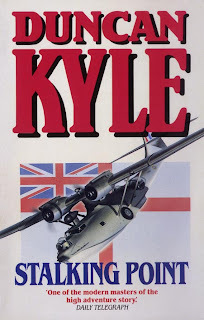 Since writing the original post back in June 2008, one of Kyle's Second World War adventure yarns, Black Camelot, has been reprinted by Ostara Publishing in their 'Top Notch Thrillers' line chosen by Mike Ripley. The War Queen. London, Leslie Frewin, 1967. 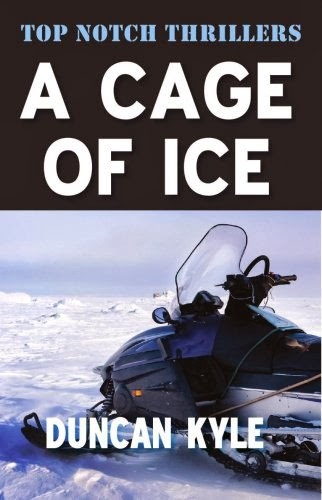 A Cage of Ice. London, London, Collins, 1970; New York, St. Martin’s Press, 1971. Flight Into Fear. London, Collins, 1972; New York, St. Martin’s Press, 1972. A Raft of Swords. 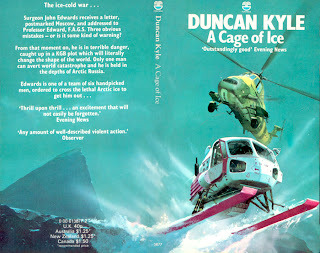 London, Collins, 1974; as The Suvarov Adventure, .New York, St. Martin’s Press, 1974. Terror’s Cradle. New York, St. Martin’s Press, 1974; London, Collins, 1975. In Deep. London, Collins, 1976; as Whiteout!, New York, St. Martin’s Press, 1976; London, Fontana, 1977. 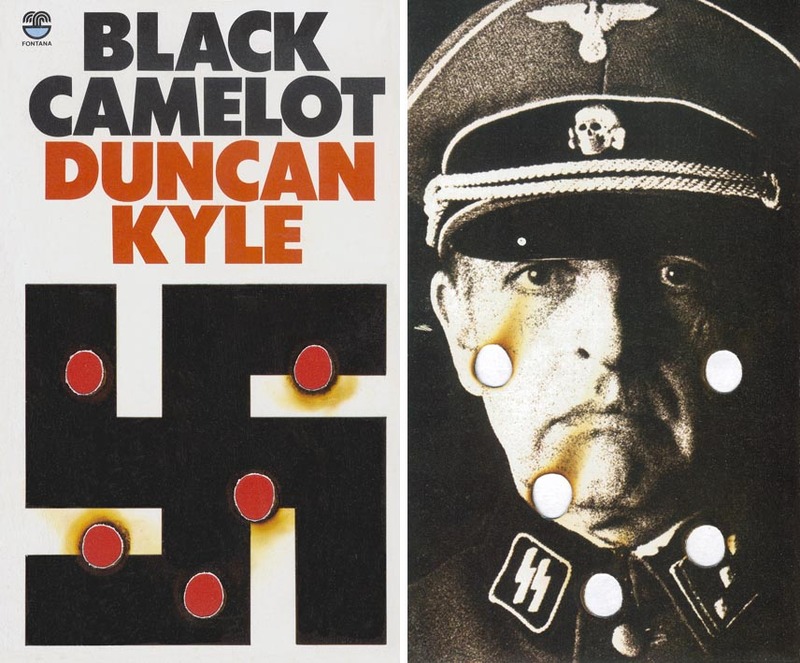 Black Camelot. London, Collins, 1978; New York, St. Martin’s Press, 1978. Green River High. 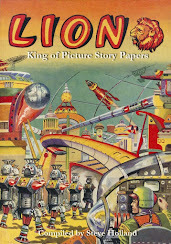 London, Collins, 1979; New York, St. Martin’s Press, 1980. Stalking Point. 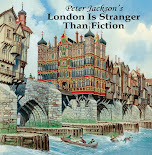 London, Collins, 1981; New York, St. Martin’s Press, 1982. The King’s Commissar. London, Collins, 1983; New York, St. Martin’s Press, 1984. The Dancing Men. London, Collins, 1985; New York, Holt, 1986. The Honey Ant (Close). London, Collins, 1988. Exit (Close). London, HarperCollins, 1993. The Semonov Impulse. London, Weidenfeld & Nicolson, 1975; New York, St. Martin’s Press, 1976; as by Duncan Kyle, Fontana, 1983. Surgeon John Edwards receives a letter postmarked Moscow, and addressed to Professor Edwards, F.A.G.S. Three obvious mistakes—or are they. At eight hundred feet the Atlantic waves looked huge; they also looked terrifyingly near, rearing up hungrily as though to lick at our feet, and still there was no sign from the engines that fuel was being burned. __I switched on the radio. "Mayday, Mayday. Golf Alpha Lima Zulu, ditching in the North Atlantic approximately seventy miles south of Cape Farewell. Mayday, Mayday..."
In Las Vegas journalist John Sellers, on a routine assignment to interview a movie star, is run out of town after a threat on his life. __In Gothenberg Alison, the girl he plans to marry, disappears with a vital piece of microfilm, leaving clues that only Sellers can understand. __The Israelis want him because the hijack failed and now he is an embarrassment. __The Russians want him because he has kidnapped their top female gymnast. __The British want him because of the trail of blood he's left all over England. Seven thousand feet up on the Greenland ice-cap, in the teeth of 'white-out' blizzards and howling Arctic gales, the American army Polar research station lies cut off beneath the snow. __At Camp Hundred, deep underground, three hundred men live—with a battery of technology to protect them from the lethal climate. But the technology begins to fail: 'accidents' happen too often to be a coincidence. ——, [Xth] imp., Mar 1989. __It is 1945 and Germany stands on the edge of defeat. The desperate men seek ways to avert the final collapse and to drive a wedge between the Allies. 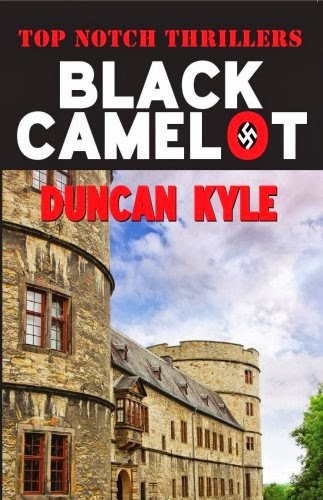 Their only weapon lies hidden in the secret archives of black Camelot. __"A skilfully plotted complex of espionage and blackmail"—Daily Mail. __"This is a thriller that thrills... rich in incident, adventure, escapes and pursuits; and it ends with a spectacular conflagration"—Financial Times. __"... 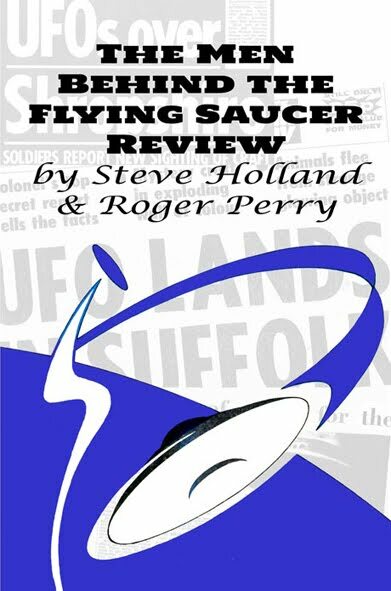 Keeps you reading almost hypnotised"—The Times. Fontana 6001, 1980, 251pp, £1.25. ——, 6th imp., Mar 1987. The year is 1941. The battleship Prince of Wales races across the war-darkened Atlantic. Her secret human cargo makes her an irresistible prize for U-Boats. And the man she carries can, single-handed, win or lose the war for Britain. Fontana 0006-16896-5, 1984, 286pp, £1.75. 1917. Russia. On orders from King George V, a British officer mounted a daring rescue attempt on the Imperial Russian family. The trade-off was a vast shipment of royal gold intended for the purchase of Bolshevik arms. __The whereabouts of the royal treasure is still an enigma. __1983. London. Every year since 1920, Hillyard & Cleef, the respectable merchant bank in the City of London, placed a large sum of money into a numbered Swiss bank account. Laurence Pilgrim, the new American partner, is determined to find out why. No threats of reprisals or dangers will deter him. ——, 2nd imp., Jun 1986, 256pp, £2.50. John Leyden's future seemed set for glory—until a deadly secret erupted from his past! __Leyden is poised to become President of the United States. 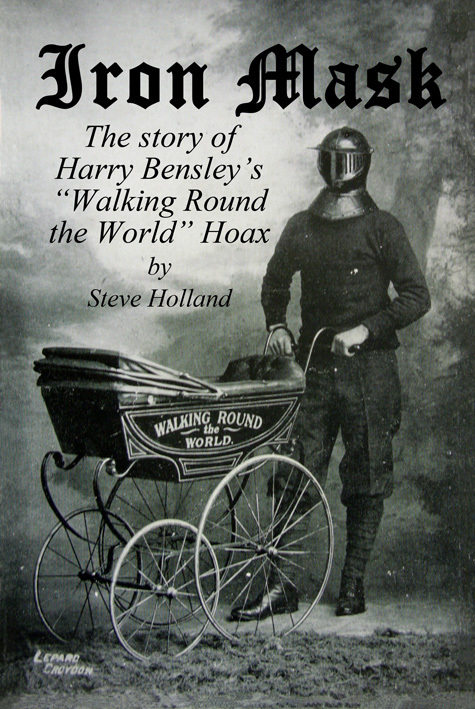 It was only prudent, then, to make sure there were no skeletons in his family cupboard: London record agent Warwick Todd was hired to do the job, concentrating on one Joseph Patrick Connor--born in Ireland in the 1850s, soldier of the British Army and immigrant to the United States around 1900. ——, 2nd imp., 1989, 256pp, £2.95. An unexpected legacy... an unforeseeable threat. The yellowed envelope goes to John Close, a young Perth solicitor. The Green estate, eighty square miles of priceless land in Western Australia, has been left to Captain Strutt who lives on the other side of the world in England. For John Close, it should be another routine matter. For Strutt—tough, resolute, touchy—it could be a dream come true. 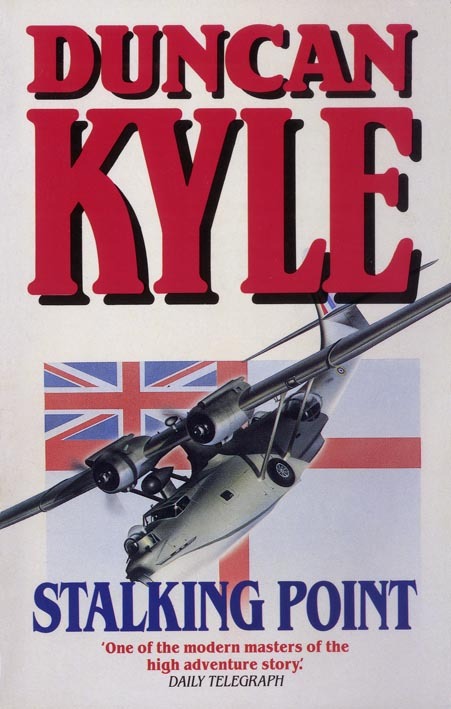 HarperCollins 0006-47613-9, 1993, 253pp, £4.99. Who was Peterkin? Lawyer John Close knew him only as a client, but the death of this strange, quiet man leaves Close with a lethally dangerous mystery to solve. __A bizarre trail of clues will take Close from Western Australia to England before he can uncover the secret that made Peterkin a hunted man, a secret with its roots in the Second World War, a secret of wealth and revenge for which intelligence agencies from around the world are still prepared to kill. 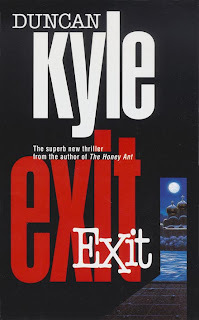 __Set against the momentous changes of modern history, Exit builds to a climax of unrelenting suspense and excitement. Yes, it is indeed a shame that a fine thriller writer is all but forgotten. Time was, as people here know, that a writer's reputation, and the audience for his work, would survive long after his death. 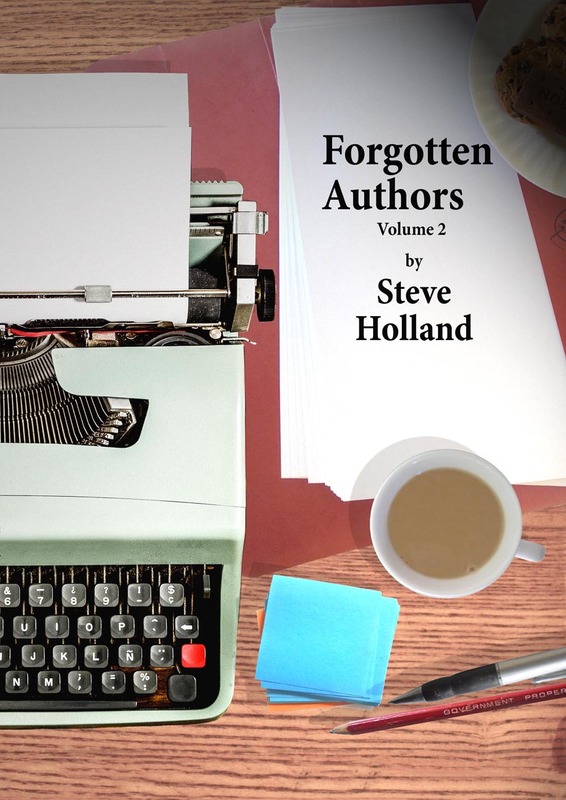 Now, the work of the "mid-list" writer, dead or alive, has been almost eliminated from the marketplace. Just a few days ago I read some statistics, and very grim reading they were, too. These days new fiction can be gone and forgotten not in decades, years, months or weeks, but almost in mere days. 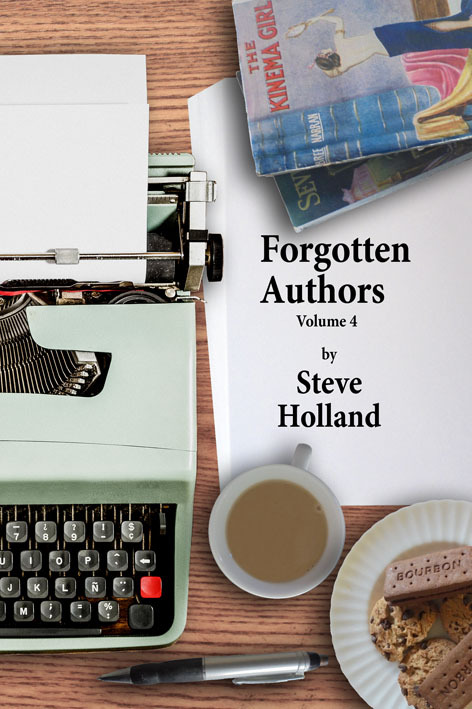 Last year, I had a novel published that was "out of print" at the publisher's warehouse, and declared "no search results" at his website, in just 17 days (Peace at Any Price). Occasion for a reprint? 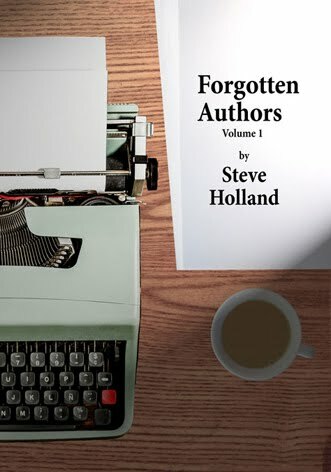 Few publishers of genre fiction these days will take the risk, but there will be a large-print edition sometime next year. If readers here do still enjoy "light" fiction for entertainment, I urge them to make their interest known at bookshops and libraries. Request the kind of books you want to see! Otherwise, like comics, new ones produced regularly and accessibly are going to disappear for ever. I'm so glad to see that someone else loves Duncan Kyle as much as I do. I came upon him quite by accident about two years ago, but I would now definitely say he is one of my favorite authors. "King's Commissar," "Green River High," "Black Camelot," and "Cage of Ice" are my favorites. However all (and I truly mean all) of his books are top notch. I forgot to mention what a shame it is that his work is so utterly unknown in the US. What a delight to find this....I'm John Broxholme's (Duncan Kyle) daughter Lindsay. He would be delighted that his books are not forgotten. He would agree that publishing now is very different from the days of Desmond Bagley (a good friend of his) Maclean etc. Now it seems the shelves are full of celebrity novels. 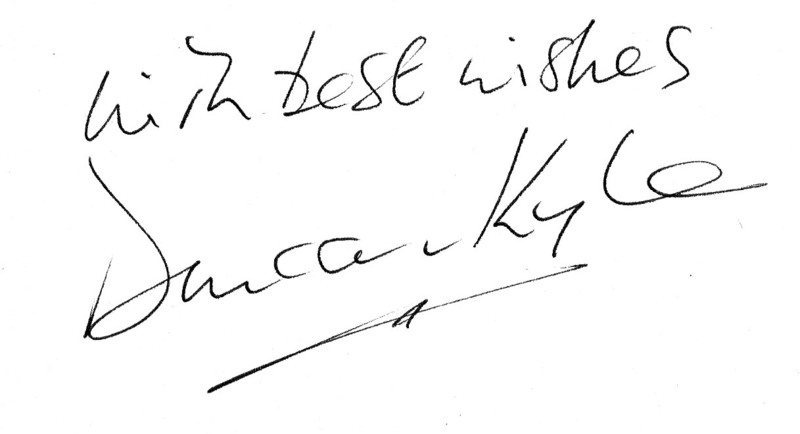 I'm very pleased you appreciate his writing and the attention to detail. 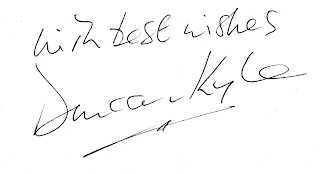 Accuracy and good writing were central to him.. I'm smiling and I'm sure he would be too. Perhaps you could drop me a line direct -- my address is top left, below the photo -- as I'd love to know more about your dad's career. As you can see from the comments, his novels are far from forgotten. Great to see others appreciate a truly wonderful thriller-writer. 'In Deep' (never call it 'Whiteout!') is one of favourite novels and I endeavour to re-read it every couple of years. 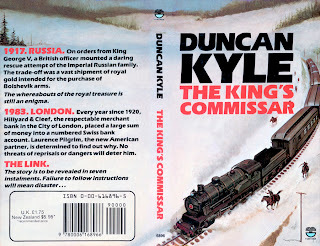 Duncan Kyle's thrillers were, without exception, thoughtful, intelligent, well-crafted and, above all, exciting. 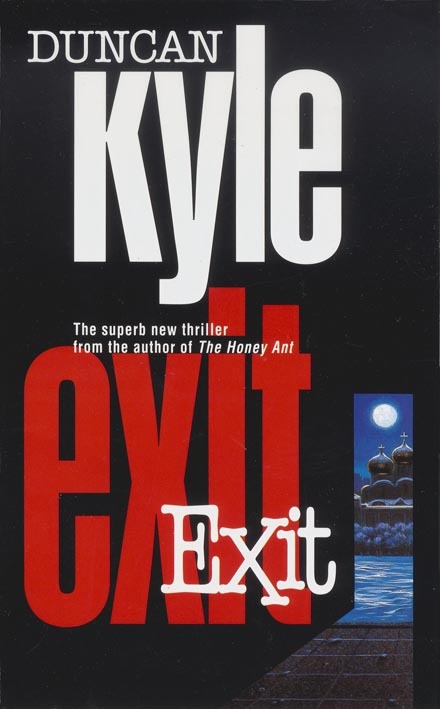 His talent did not diminish with the years - 'Exit' was easily as good as, if not better than, some of his early novels. 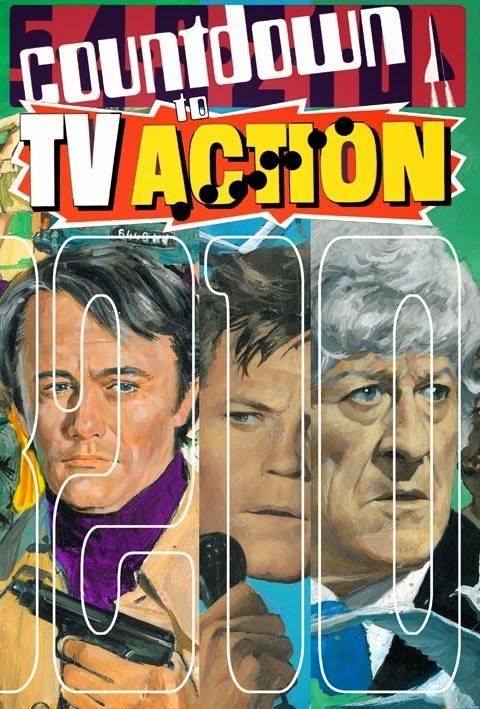 His work stands alongside that of Bagley, MacLean, and Hammond Innes - a Golden Age we are unlikely to see again. Hello Steve. Glad to have found your blog! I run www.desmondbagley.com so this was really egg-and-milk to me!! Excellent :-D Hope you don't mind but I'll add you to my "Follow" list! 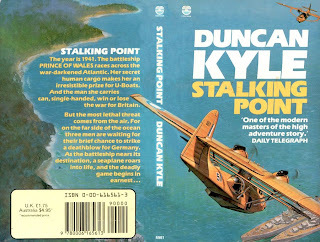 I have read and loved Duncan Kyle since the 70s, and am reading his books again now. fabulous ! 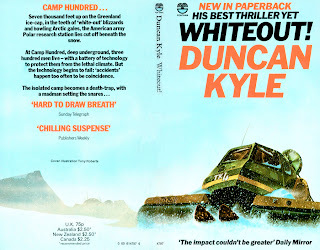 I just dug out my old copy of "Whiteout" from a box in storage and thought I'd search Google for more info on the book and author. Glad to find your article and all the great comments. 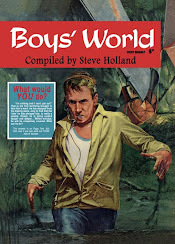 By the way, my 1977 Avon printing has a different cover than the one in your post. A wonderful novel. 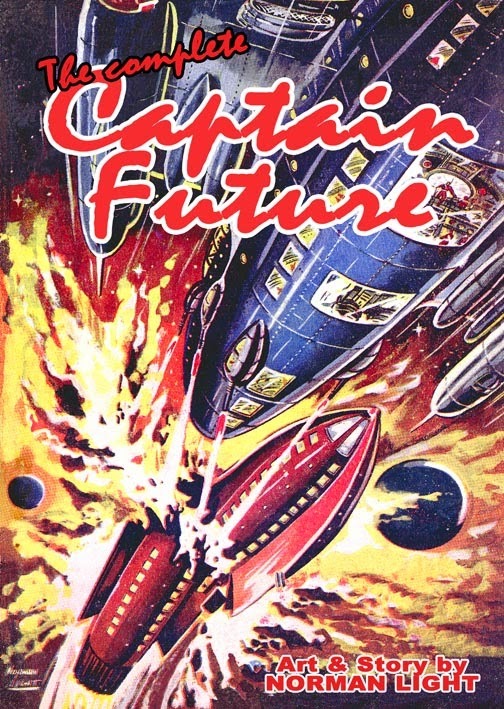 There are a few blogs and websites that do a very good job scanning American paperback covers; far better than I could ever do. So I concentrate on British paperbacks and try to do as comprehensive a job as I can in that area. 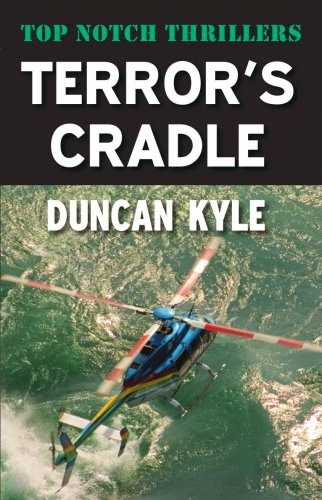 Having had the pleasure of republishing "Black Camelot" as a Top Notch Thriller and, hopefully, finding soem new readers for Duncan Kyle, I am delighted to announce that we will be adding "A Cage of Ice" and "Terror's Cradle" to our list, as print-on-demand papebrcaks and as eBooks, in April 2012. Further details can be found at www.ostarapublishing.co.uk. 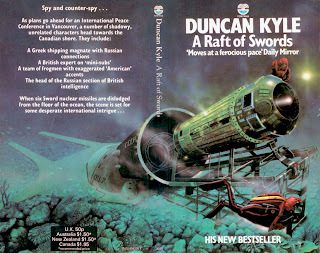 Re Duncan Kyle - A Raft of Swords. 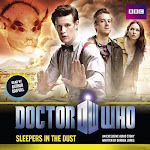 I think you have mixed up the cover artists / editions for this. 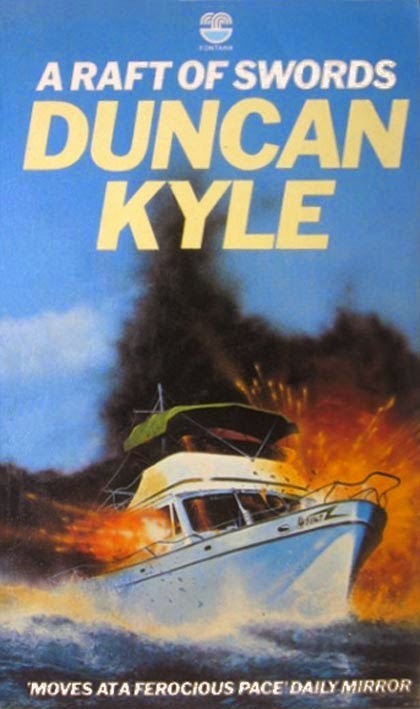 The Fontana boat explosion image is by Tony Roberts (credited on rear) but the underwater scene is by an unknown artist. This explains why I put a question mark after the credit... that first one didn't look like Tony Roberts to me! I came here via a Google image search in hopes of finding out who the artist was. 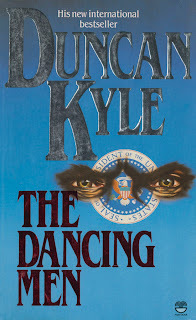 By the way it's the only Duncan Kyle book listed on the Internet Speculative Fiction Database.